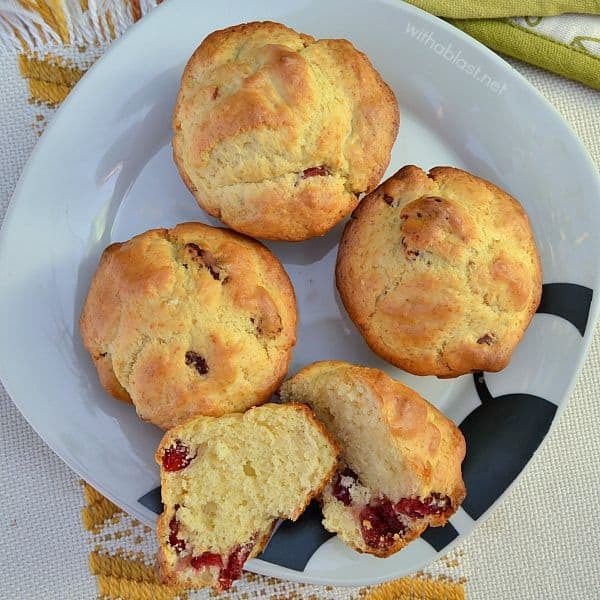 Cranberry Muffins are so delicious and unlike most muffins, these actually stay fresh until at least the next day, which makes them perfect for as an addition to breakfast or brunch. My son loves taking a couple with him to work, therefore I normally bake a double batch. Enough for his lunch box, and also enough for my mom-in-law and myself as a mid-morning snack as we are not huge on breakfast – brunch, yes, now and the over a weekend. These muffins are soft and have the texture of a feather light cake instead of the usual, more dense kind of muffin. 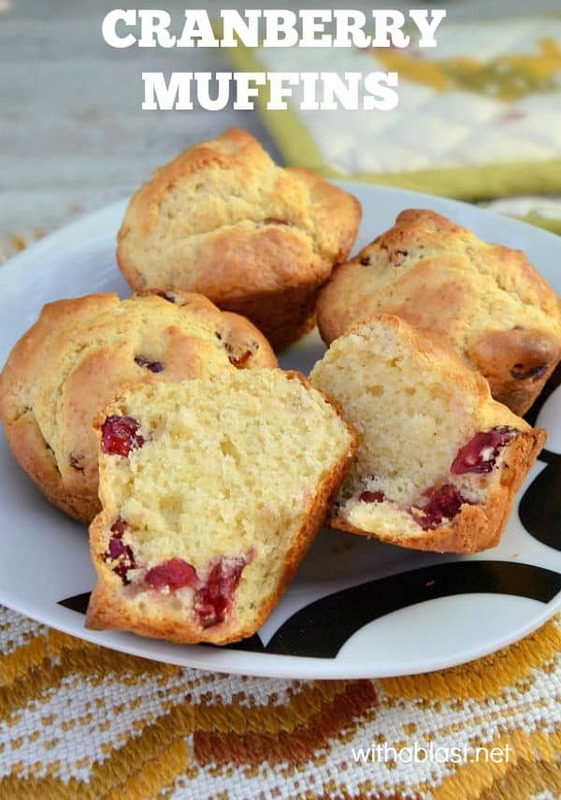 I do not add a lot of sugar as I normally use Dried Cranberries which are sweetened a little already. Fresh Cranberries are not all that much available in our local super markets. But I love to eat the Dried Cranberries ( by the handfuls! ) anyway, so I always have a packet or three in the pantry. 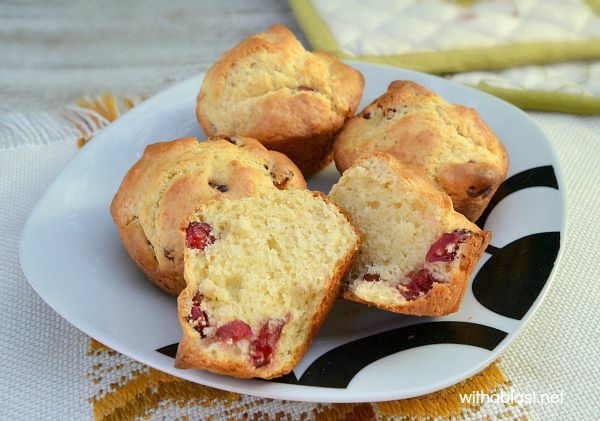 Serve these as is, or warm with a good spread of butter. Best served warm with butter, but cold is also delicious.